Hard pressed for time to clean your floors everyday? 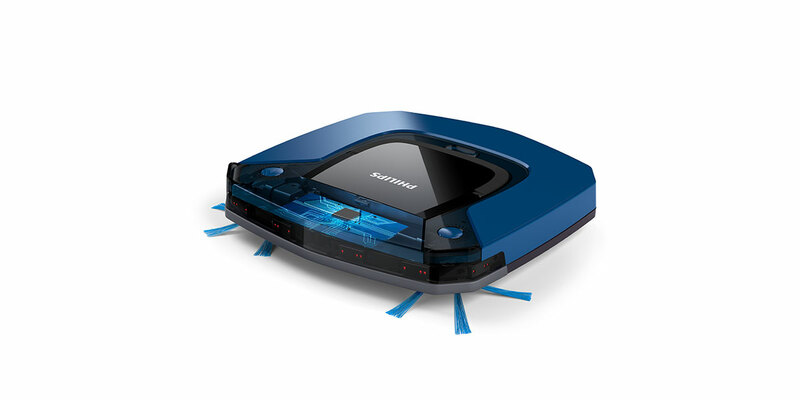 The Philips SmartPro Easy Robot Vacuum Cleaner is here to help! Boasting an ultra slim form that allows it to reach difficult spots in the home, this handy little robot gives autonomous, optimal cleaning results with its efficient two-step cleaning system that captures dust and dirt. Despite its petite size, this robot vacuum is able to perform a thorough clean thanks to four cleaning modes that can adapt to different areas and 600 Pa high power for strong suction. Receive a relief from ironing pains with this no-burn iron. Coming in a beautiful rose gold finish, the Philips PerfectCare Expert Plus Steam Generator Iron is equipped with OptimalTEMP technology that guarantees no burns on all ironable fabrics. Coupled with unparalleled speed and protection, the iron also provides comfort for the user thanks to its ultra-lightweight form. With the Philips Avance Collection Airfryer XXL, you can fry, bake, grill and roast your favourite foods the healthy way. The latest model is equipped with the new Twin TurboStar technology that is designed to remove up to 90 per cent of fat from food, making this an essential tool in preparing healthier meals for the family. Designed to provide smart, efficient and convenient cooking that result in high quality meals, the Philips Deluxe Collection Multicooker is able to help you whip up delicious wholesome meals up to six times faster than the original Philips All-in-One cooker. Boasting a variety of cooking modes, such as multicooking, pressure cooking and slow cooking, this versatile kitchen appliance is perfect for busy homeowners. Save time on your morning routine with the Philips Shaver Series 7000 Wet and Dry Electric Shaver. Equipped with SkinGlide rings with anti-friction coating, the gadget promises a smooth shave even for those with sensitive skins. Stand a chance to win your choice of Philips products! We have 1 of each product to give away. Simply fill up your particulars below and stand a chance to win!